I'm really excited to be able to give Cake Decor in Cairns followers this special discount code for full professional cake decorating classes at The Cupcake Orchard! The amazingly awesome Alexi has again this year given us a $20 discount on all of Lauren Blong's whole cake covering classes including mastering the sharp edges of square cakes. 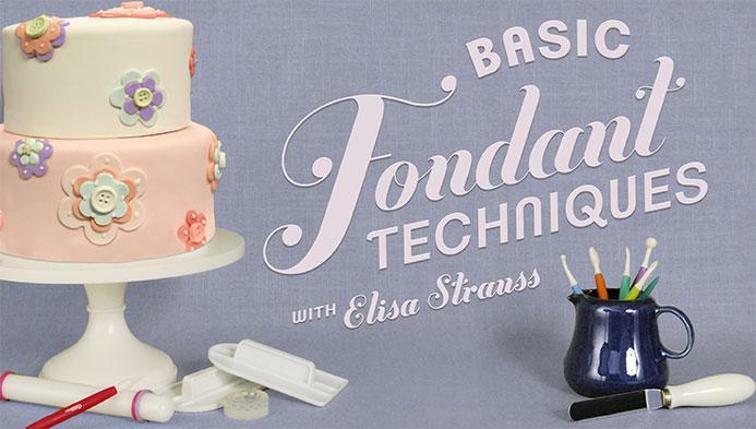 Learn how to ganache a cake to smooth perfection and cover smoothly, complete with straight fondant edges! What a fabulous skill to learn! The prices are amazing! Take for example the square cake class - after our $20 discount, it only costs $105 which includes you being given a delicious naked cake, learn the correct techniques to ganache, cover and beautifully decorate perfectly. But wait there's more! Yes it's unreal I know, but lunch is also included!! I am really excited about these classes as they are the cheapest you will ever get from a professional in Cairns. Hold on, you think I am just a little bit too excited? Well then guess what?! What else could this awesome local Cake shop offer? 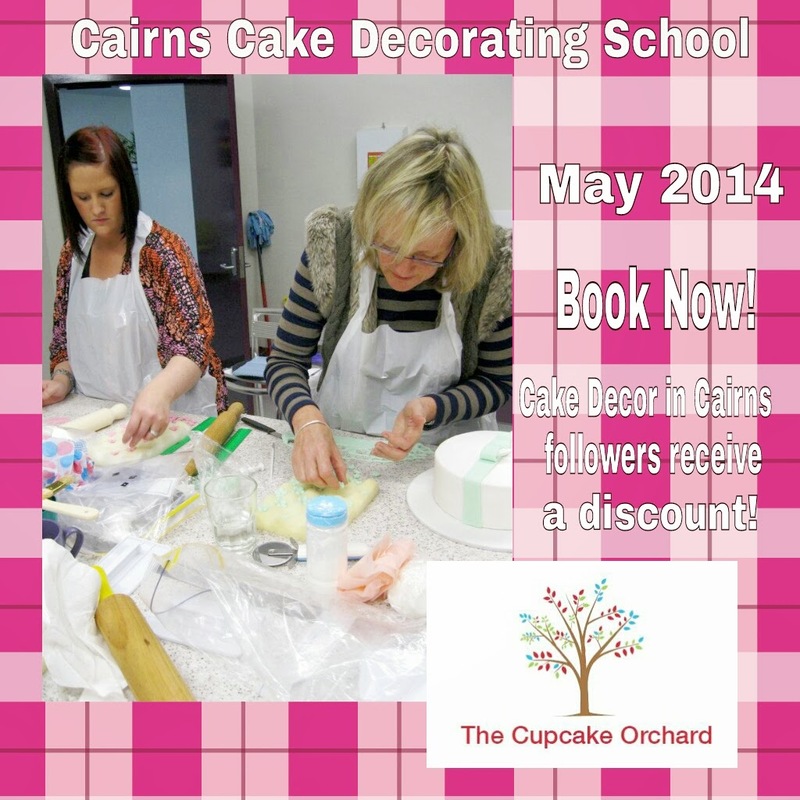 The classes are already cheap, the tools and fondant are already the cheapest in Cairns but you want more? Okay you got it! Alexi will also provide you with a 2014 membership that gives you 15% off cake decorating supplies!! EEEEEK! Talk about mega bargain alert!! These special professional classes taught by Lauren start on the 18th of May. 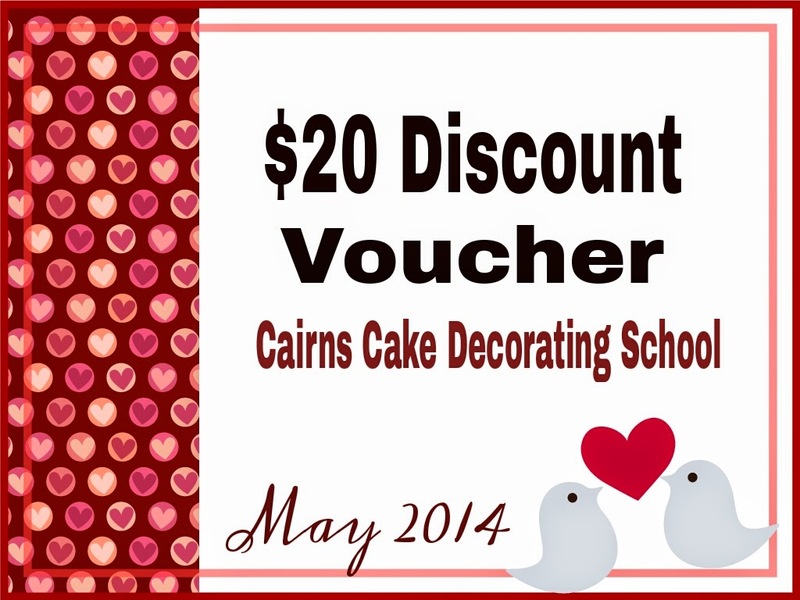 Or simply pop into the store and mention Cake Decor in Cairns sent you!